Kitchener-Waterloo may not be an ideal area for immigrants settling into Canada, according to a recent online ranking. Immigroup, an immigration law firm, set up an online poll in which readers voted K-W the fourth worst city in Canada for immigrants. 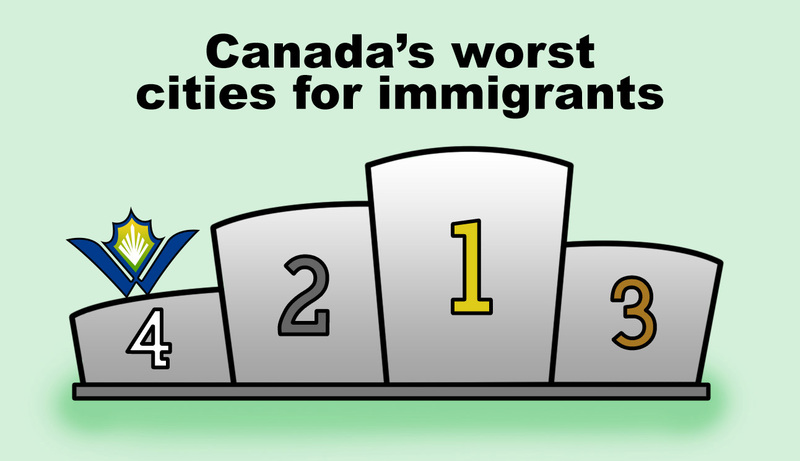 The poll was set up in response to feedback from Immigroup’s ranking released last year of the top ten worst recipient cities for immigrants, which placed K-W in second. Last year’s low ranking resulted from the high number of hate crimes reported in the area. In 2009, K-W had a high per capita rate of just under 18 hate crimes per 100,000 residents. “We were getting a lot of response that people disagreed with the results of the old article, so we decided to let people pick themselves,” said Riley Haas, the project manager for Immigroup, on the reason for the revisions. 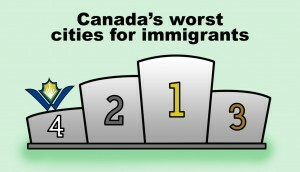 The new poll listed Toronto as the worst city for immigrants. “The tendency in Canada is that everyone that’s not from Toronto hates Toronto, so I think that once we put Toronto at number one people were less angry” added Haas. However, some K-W based immigration support groups do not agree that the ranking provides an accurate depiction of the area. “In terms of hate crime reporting, different jurisdictions report hate crimes in different ways so it might be to do with the nature of the reporting,” said Jo-Anne Gibson, the manager of Waterloo Region Immigration Partnership, which strives to integrate immigrants by helping them get involved in the community and navigate job opportunities. It is one of a number of local programs aimed at helping new Canadians transition smoothly. Office administrator at Focus for Ethnic Women, Cristina Ruha, said she sees no reason why Waterloo is not an ideal destination for immigrants. Ruha said she had never experienced any form of racism or hate crime. Gibson added that in spite of the hate crime results, the region is in no way a “bad area” for immigrants to settle. With the help of their partnership, she believes that immigrants are open to countless opportunities in the area for jobs and involvement. While both organizations do not entirely agree with the ranking, they do recognize room for improvement. By supporting immigrants through their settlement, these programs hope to make K-W a welcoming city for those who decide to settle here. By combating hate crimes in the area it is possible that K-W will receive a more favourable ranking in the coming years. Through education and awareness of the problem, Ruha believes that this issue can be conquered.